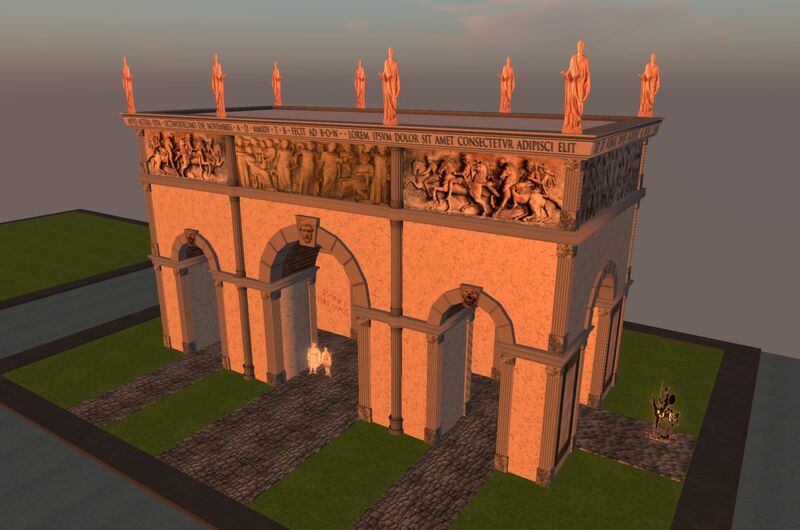 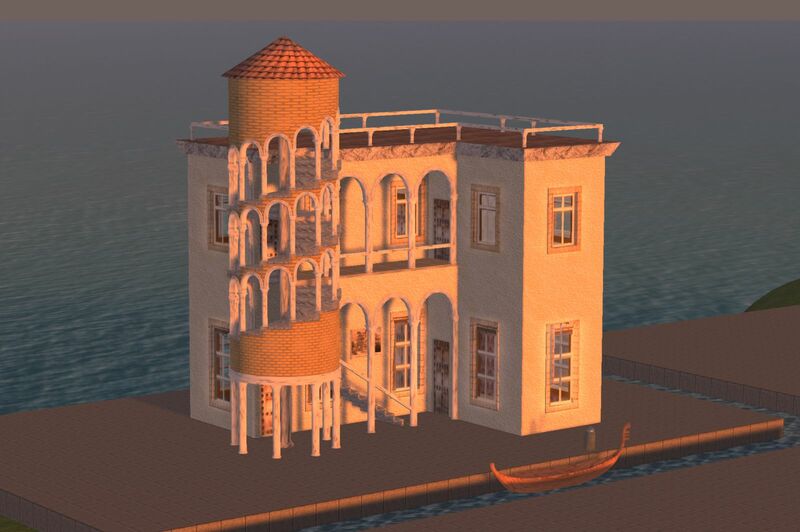 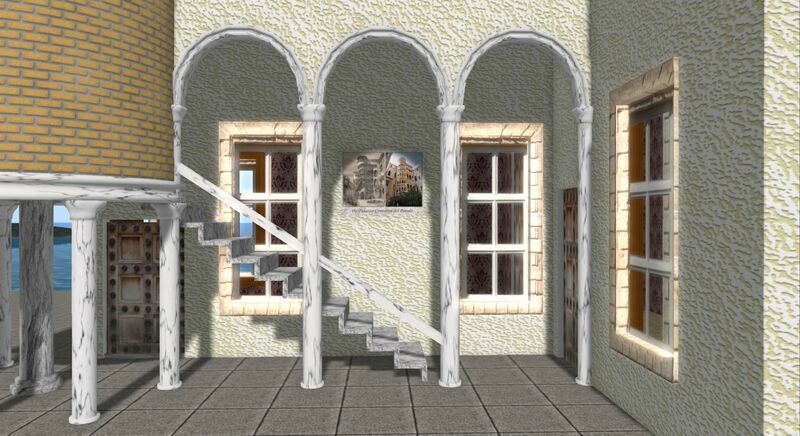 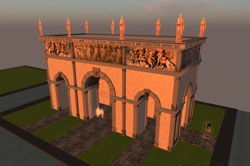 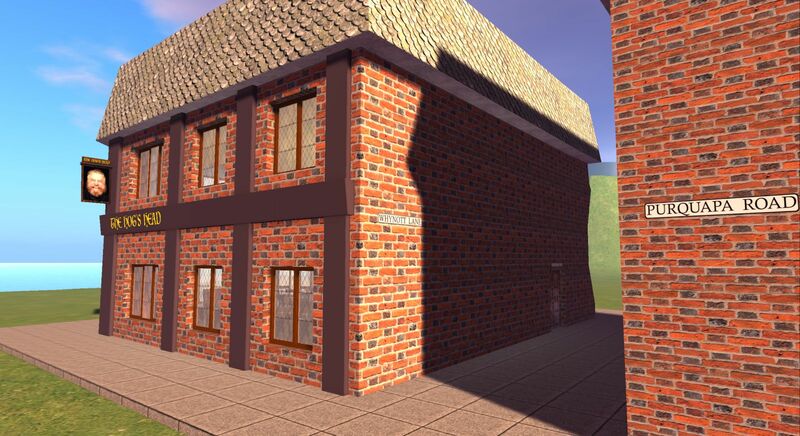 This was a competition build on the theme “Italian Palazzo”, and is inspired by the Palazzo Contarini del Bovolo in Venice. 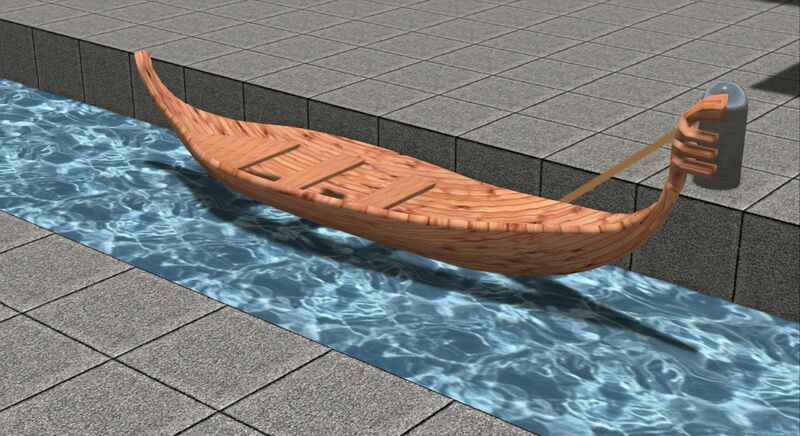 The gondola gently bobs up and down on the water. 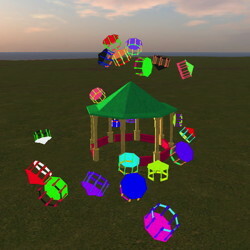 There is another page on how to create life-like random movement. 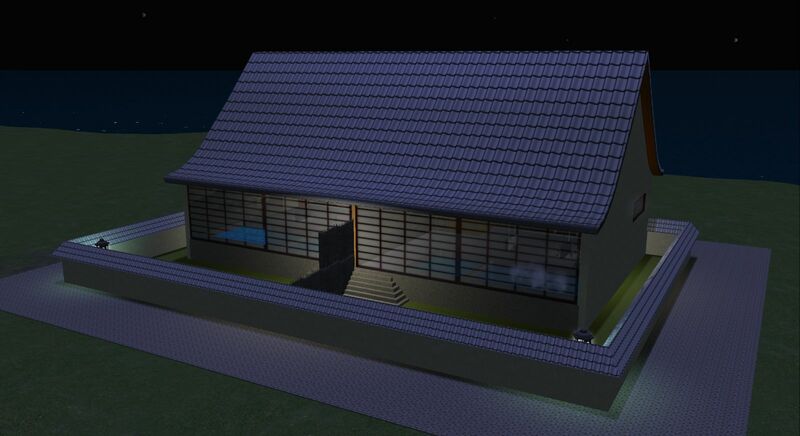 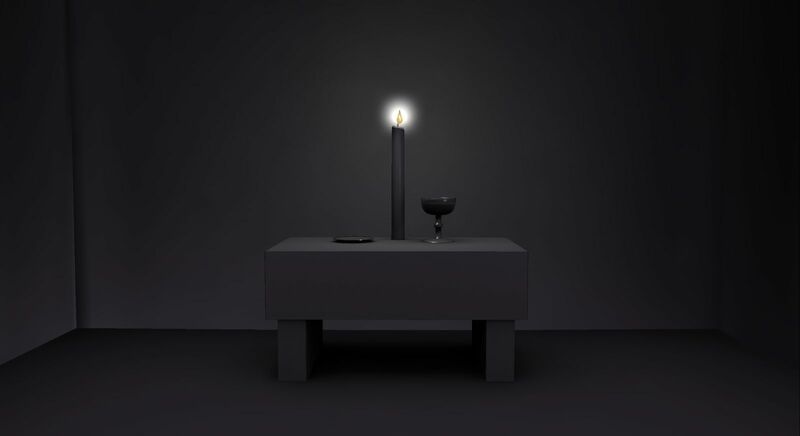 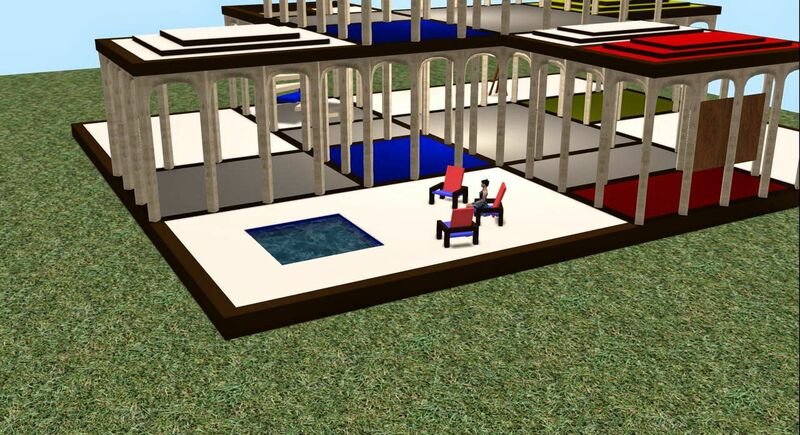 A competition build on the theme of the architecture of Philip Johnson and the art of Piet Mondrian. 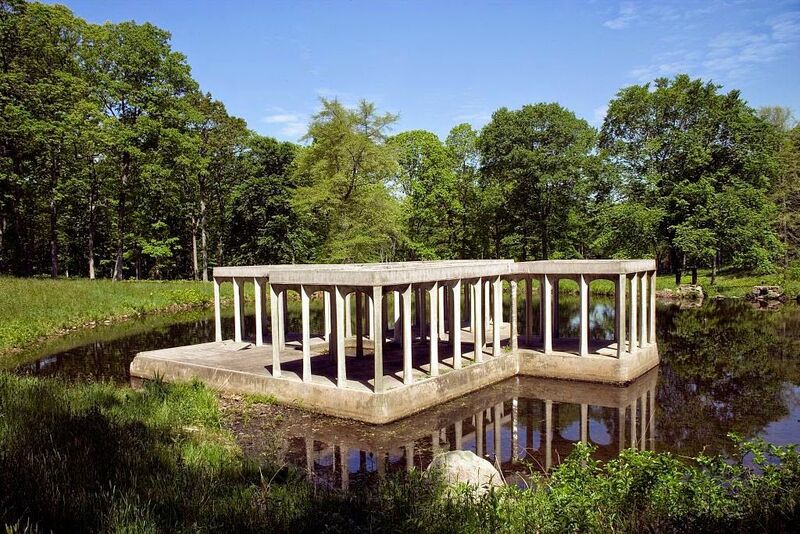 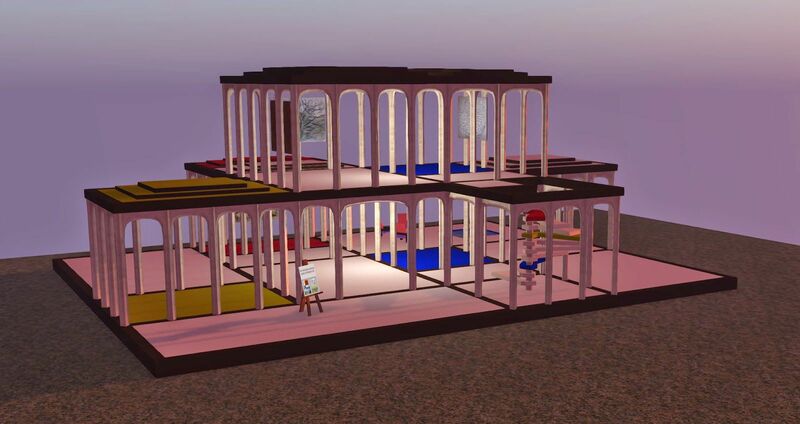 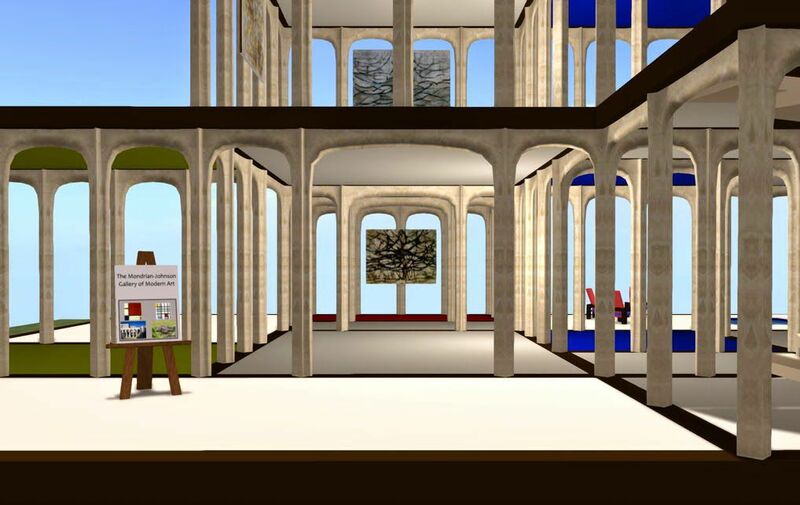 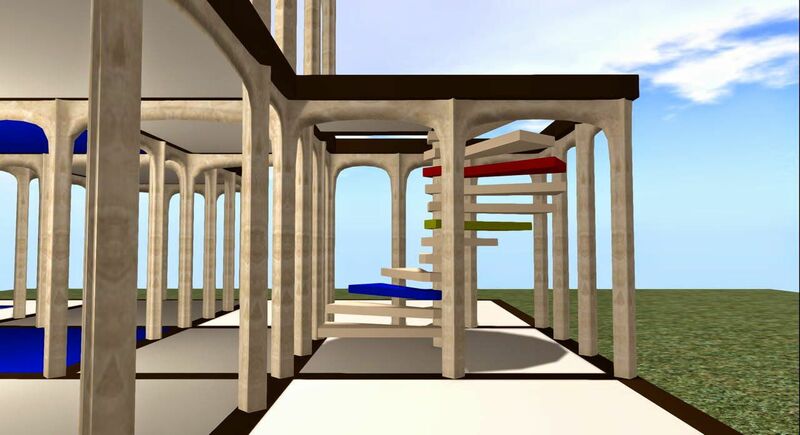 The pillars of this gallery are a motif occurring several times in Johnson’s oeuvre, and his Pavilion (the second picture in the slideshow) suggested to me the idea of modelling the ground plan after Mondrian’s famous pictures of multicoloured irregular grids. 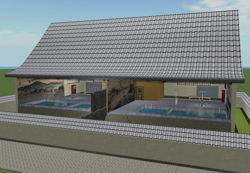 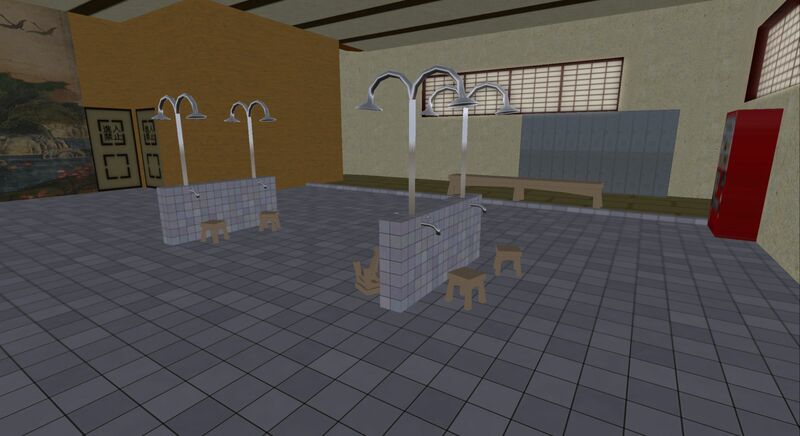 A sentō is a Japanese public bathhouse. 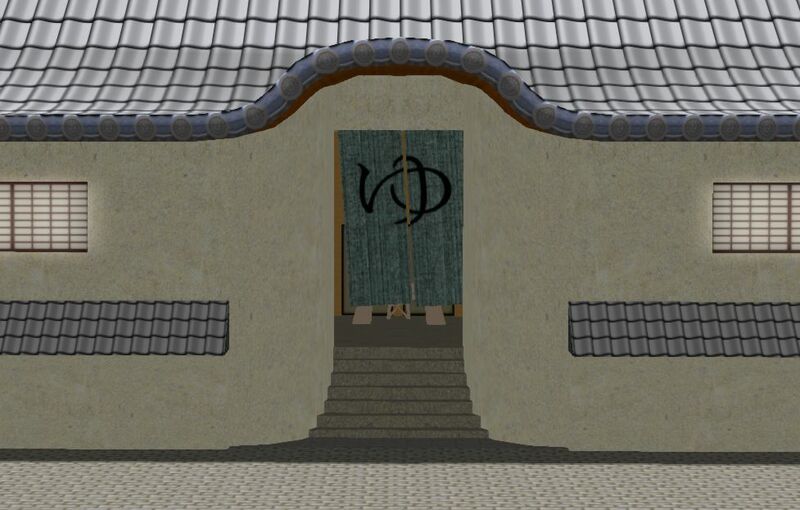 At the front (the back as seen in the main view), is the street entrance, signified by the hiragana syllable yu, which means “hot water”. 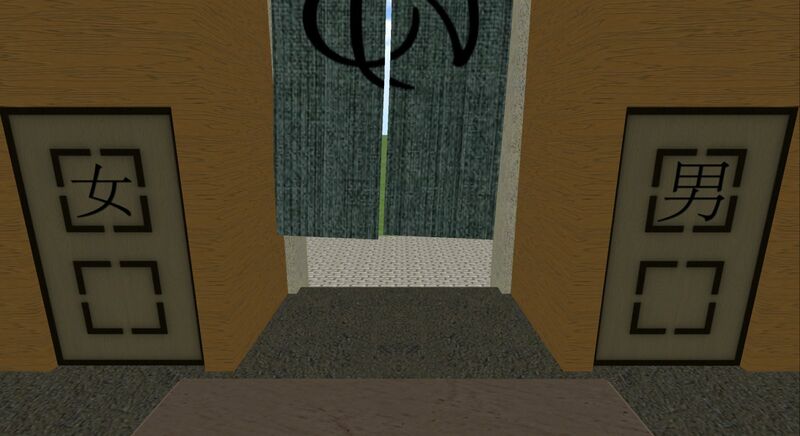 In the foyer there are doors to the separate male and female sections. 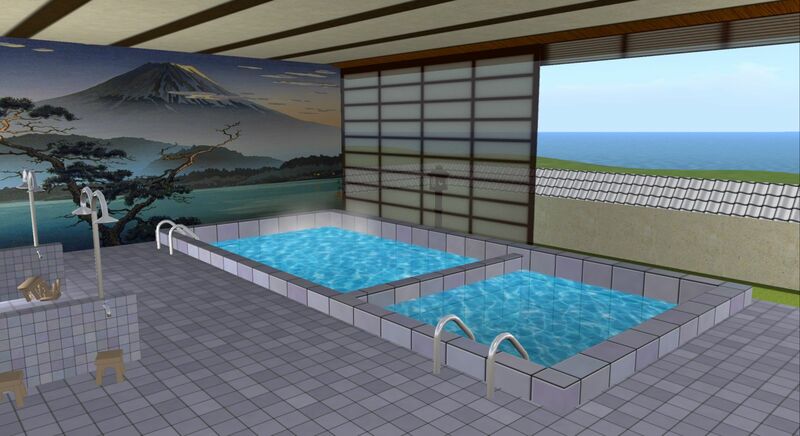 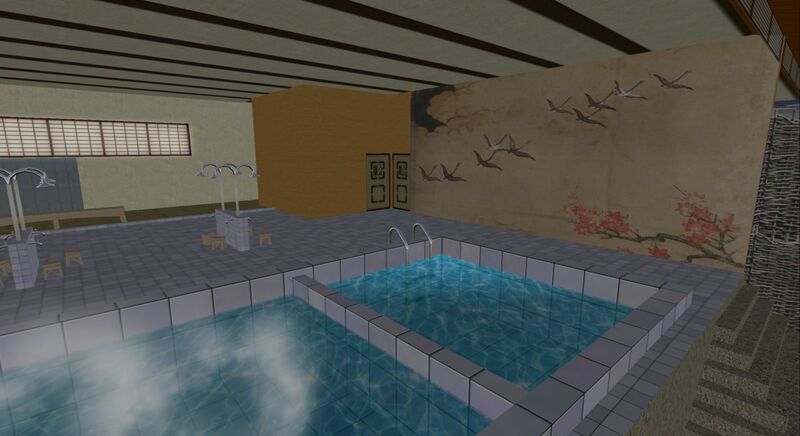 There is an area to change out of one’s clothes, an area to wash oneself under the showers, and finally the bathing area to soak in, with hot and cold pools, and large murals on the walls. 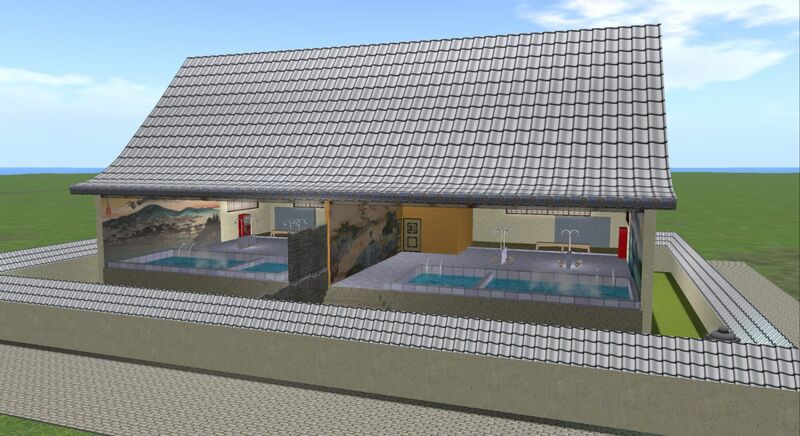 Outside, there is a small enclosed garden. 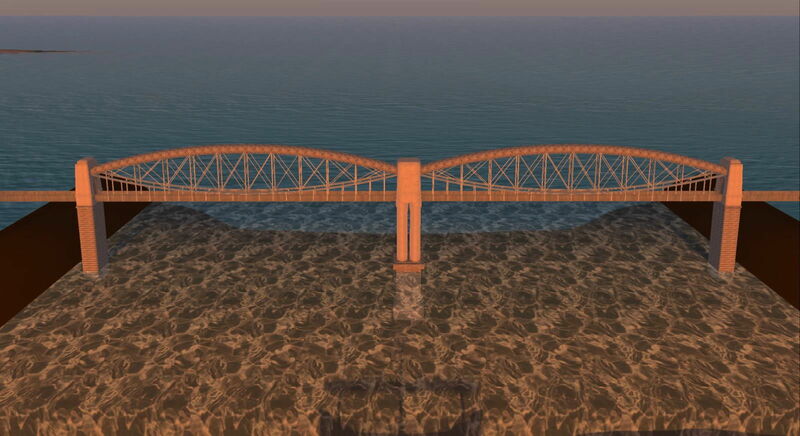 This is a 1/10 scale model of the Royal Albert Bridge, which crosses the River Tamar between the counties of Devon and Cornwall in England. 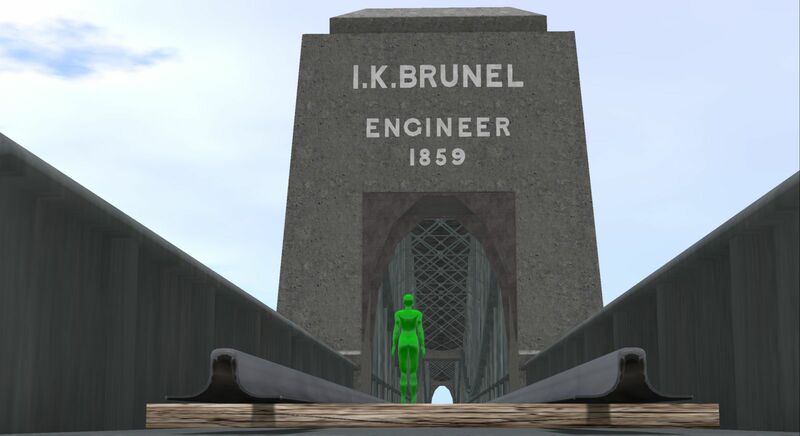 It was designed by Brunel and opened in 1859, and to this day carries the main railway line to Cornwall. 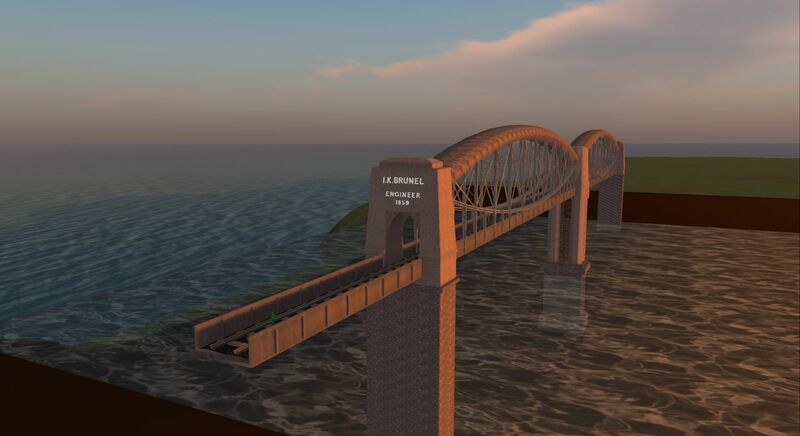 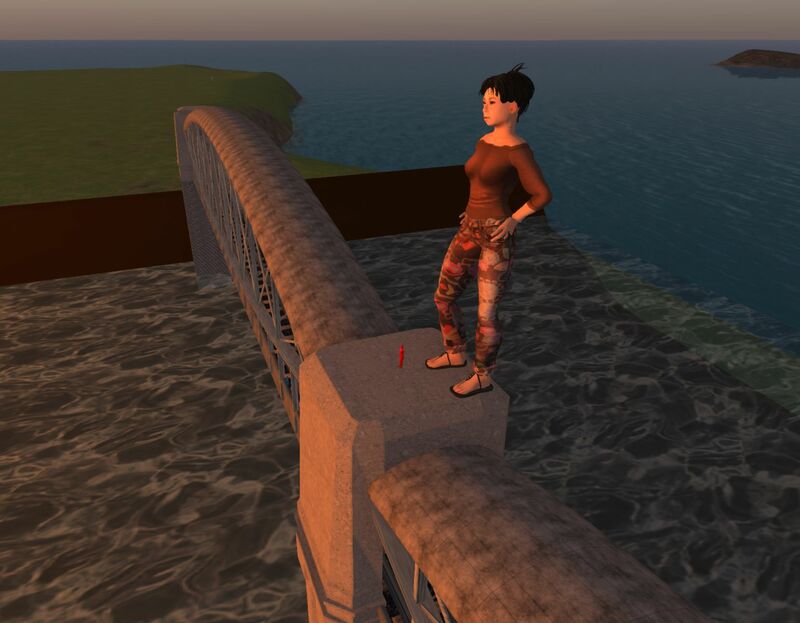 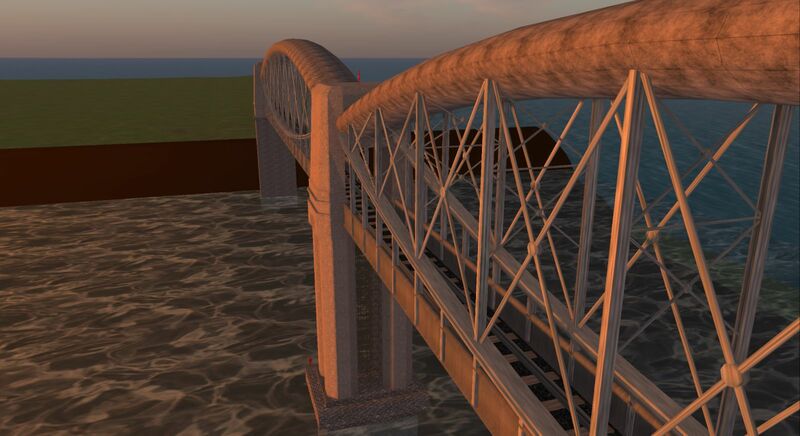 The real bridge is about 400 metres long, which means that full-size, it would just fit diagonally into a single Second Life region. 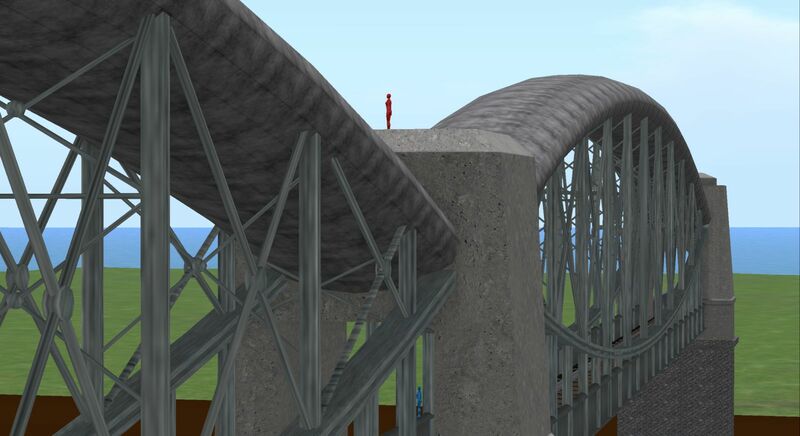 I’ve found a useful trick for making scale models in Second Life appear full size. 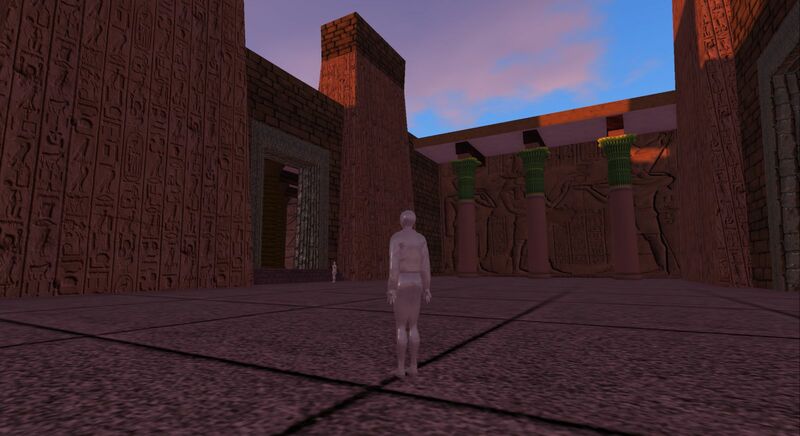 Create a little human figure on the same scale as the model. 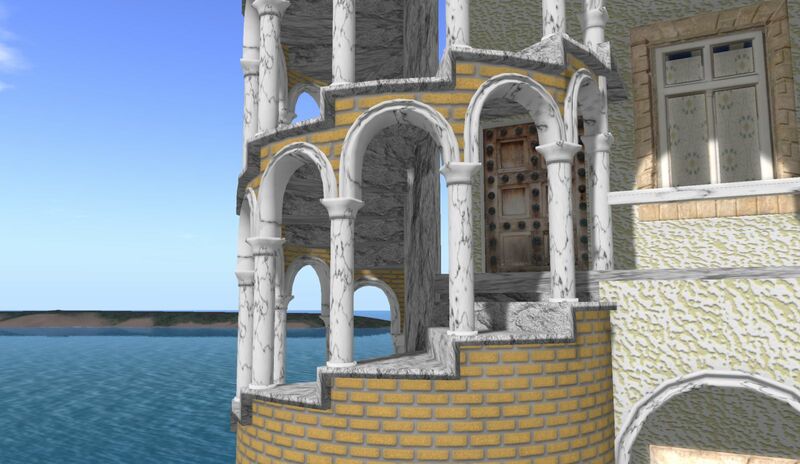 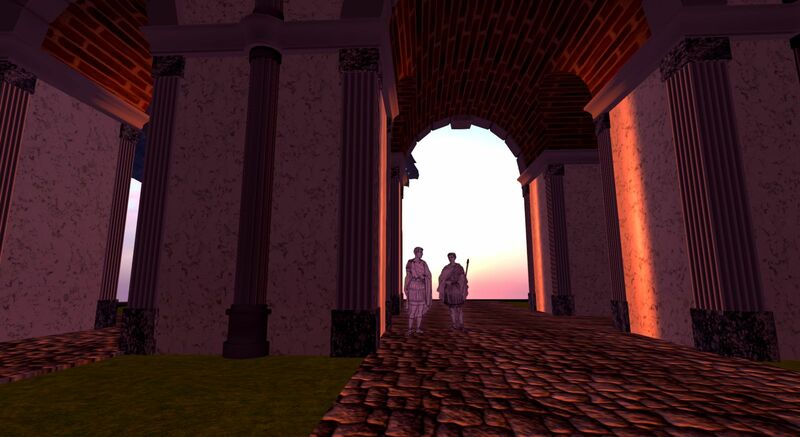 (I use a mesh exported from Avastar.) 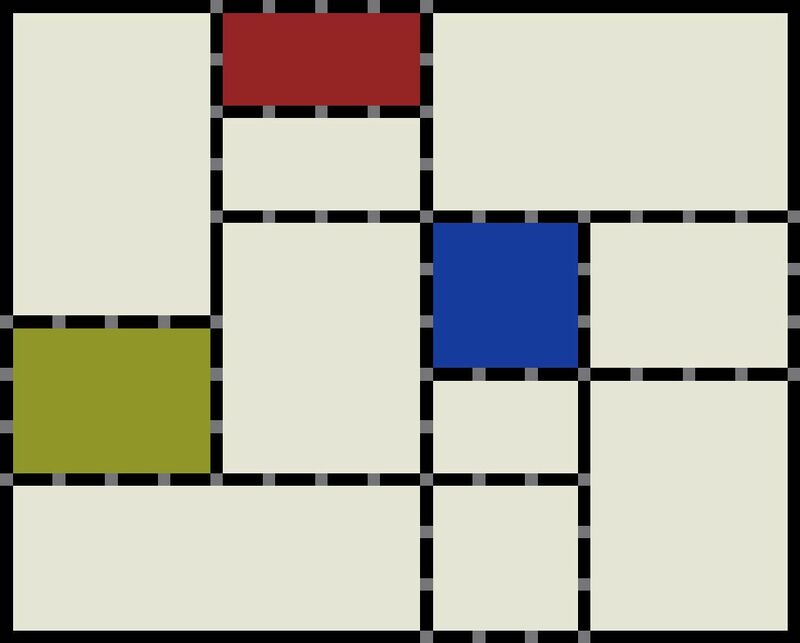 Place it in a suitable location, then cam into it so that it occupies the same space on the screen as your own avatar normally does. 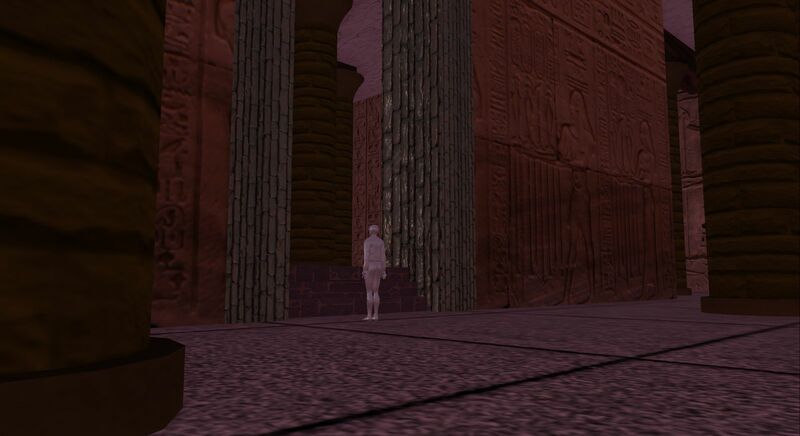 Your surroundings will then appear life-size. 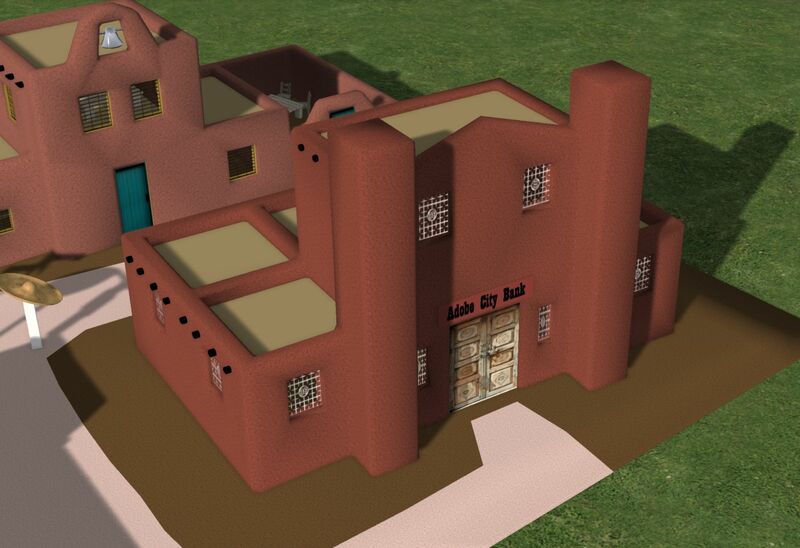 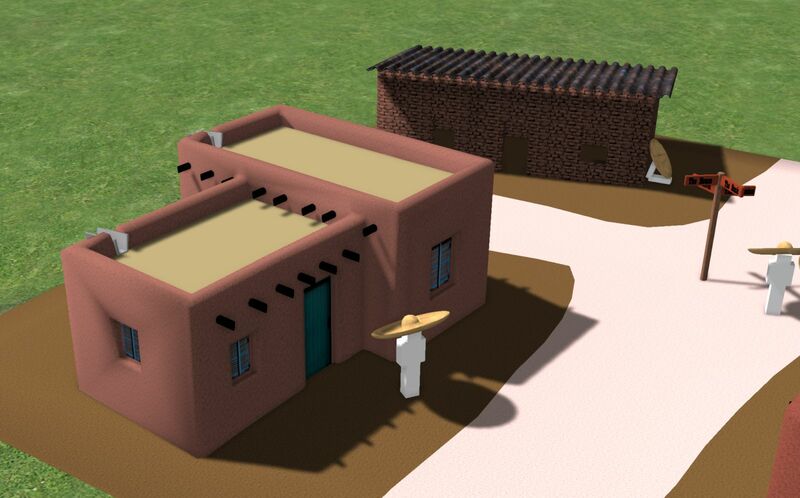 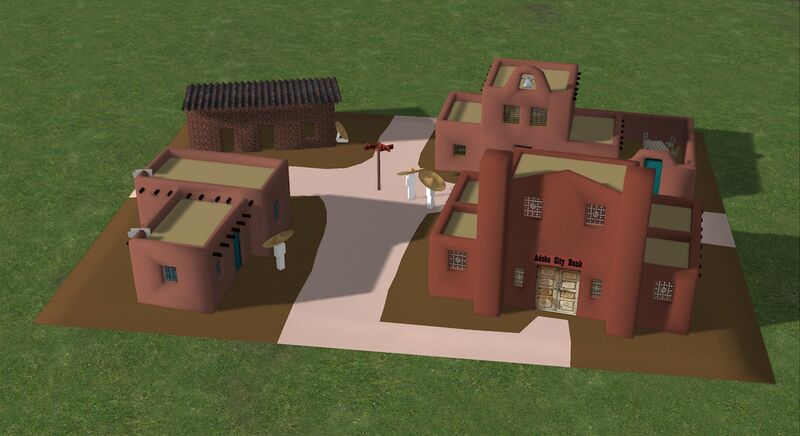 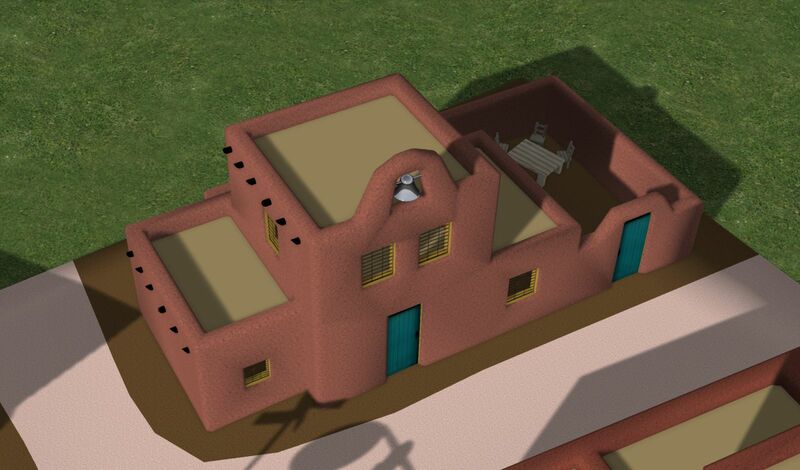 A group of adobe buildings in a cartoony style. 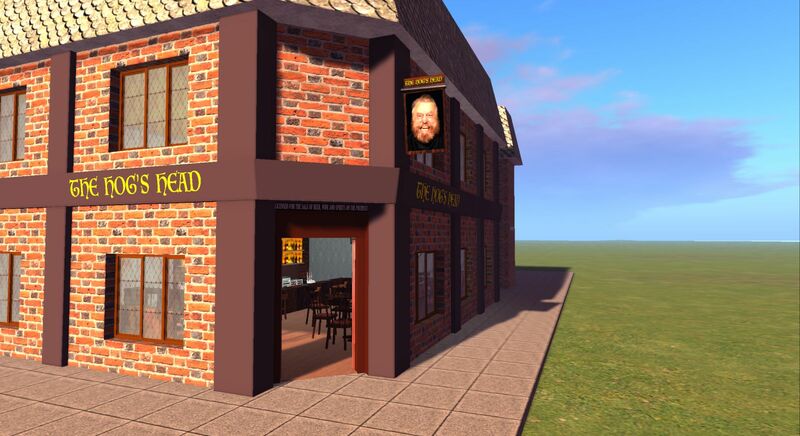 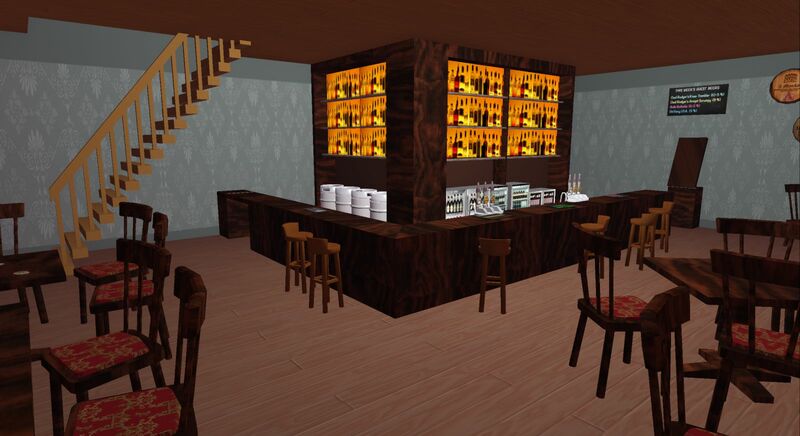 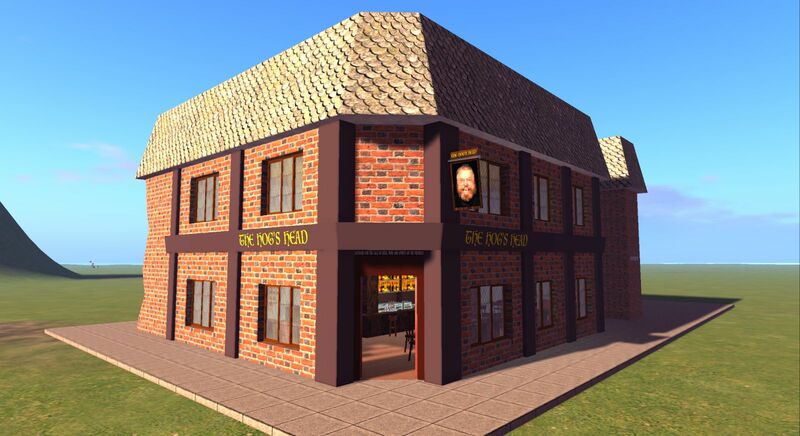 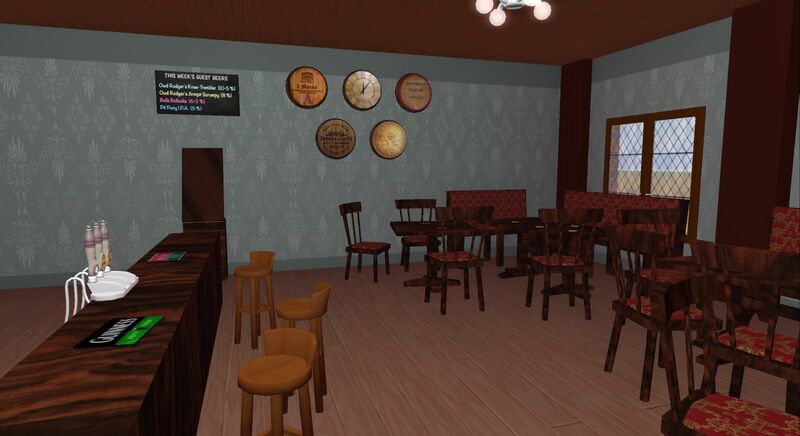 The Hog’s Head, an imaginary pub in London’s East End. 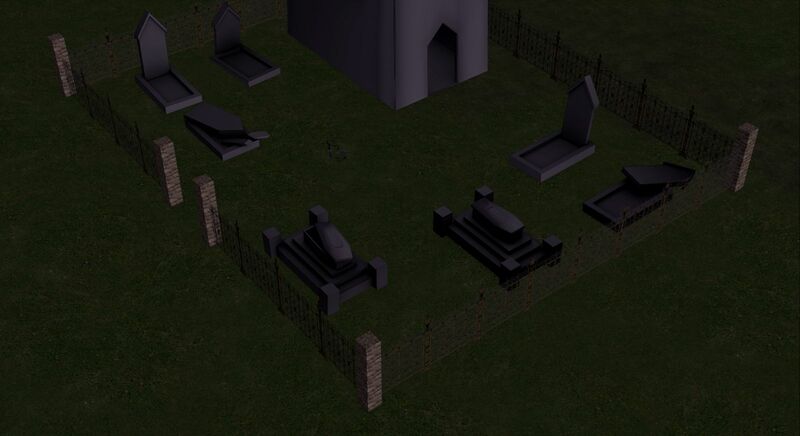 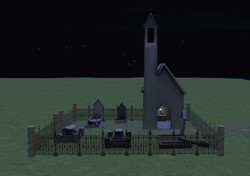 A simple church and several graves in various states of disrepair, all in a low-poly style. 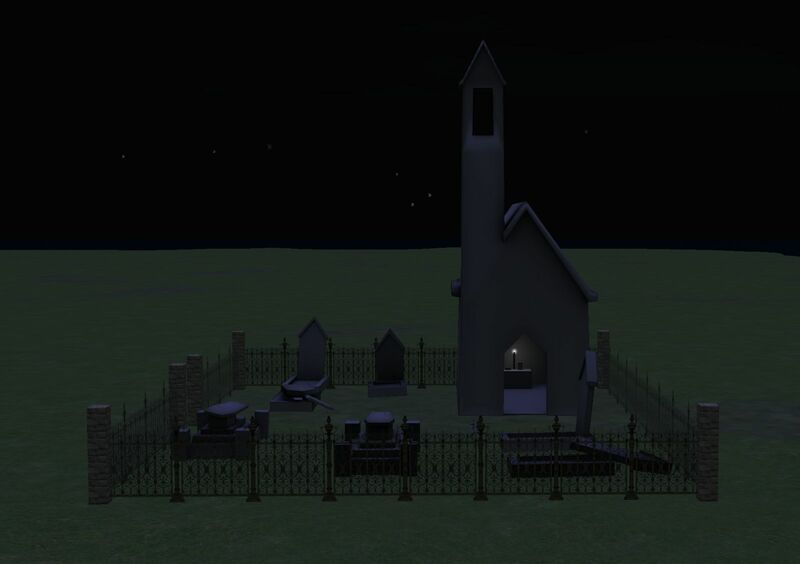 My Spooky Bat Generator goes well with this. 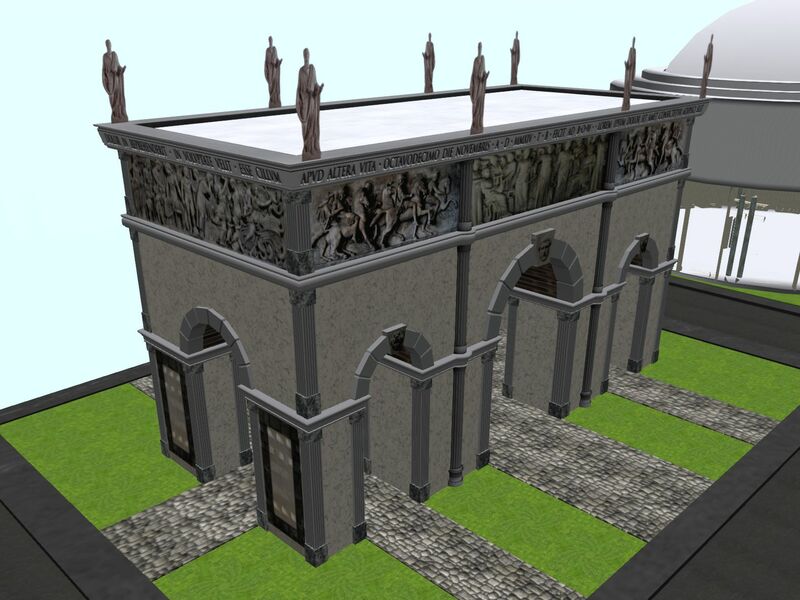 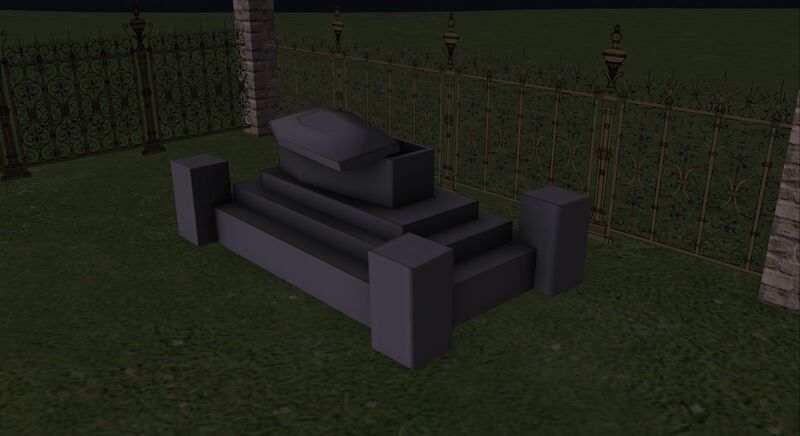 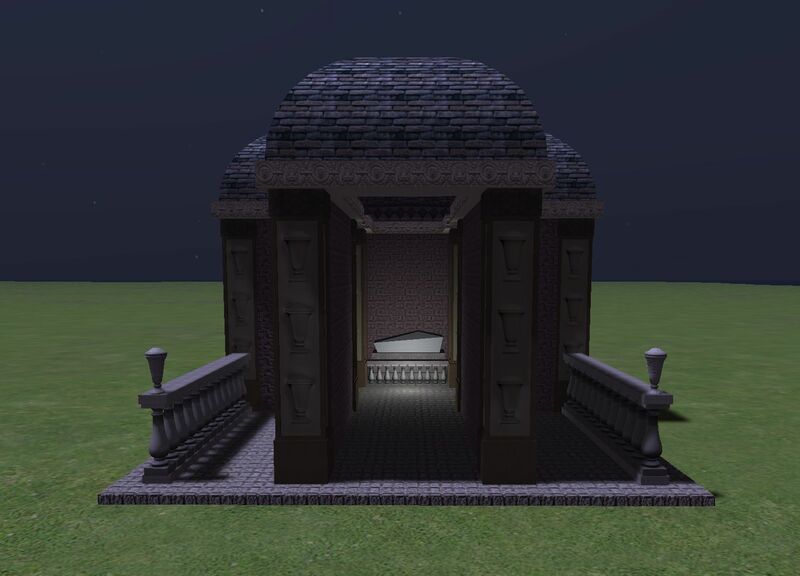 A competition build on the theme, “Mausoleum”. A competition build on the theme, “Egyptian Temple”. 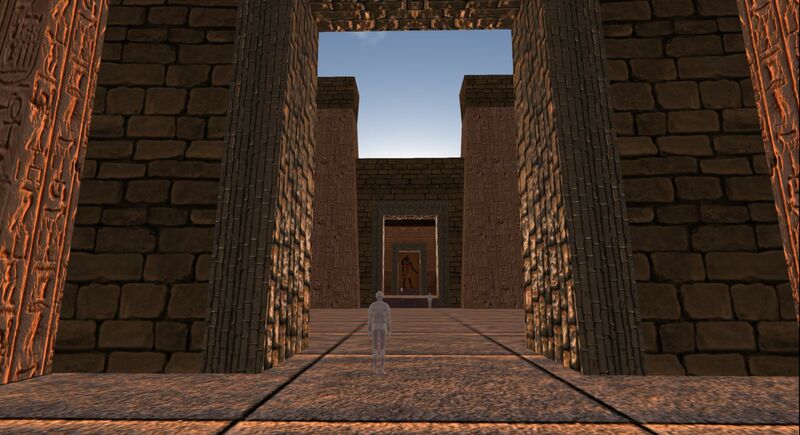 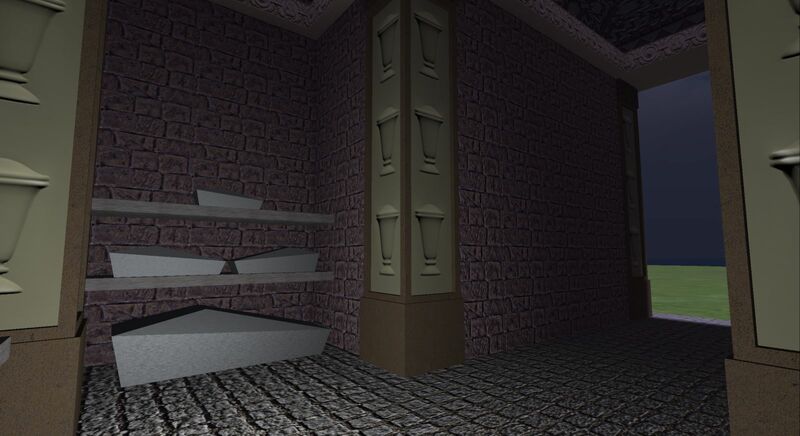 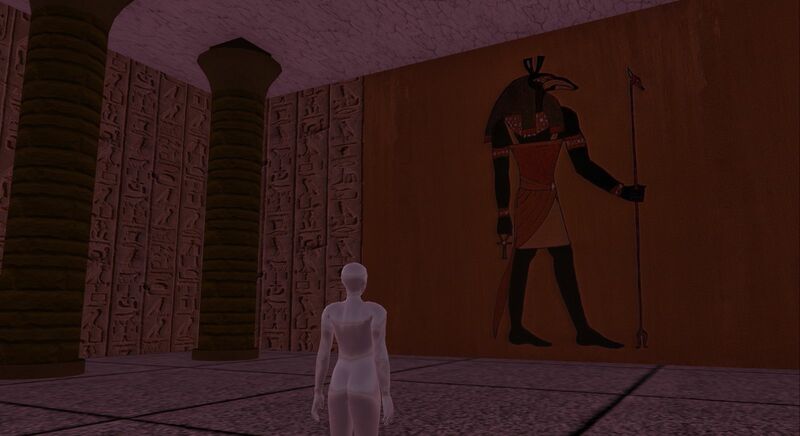 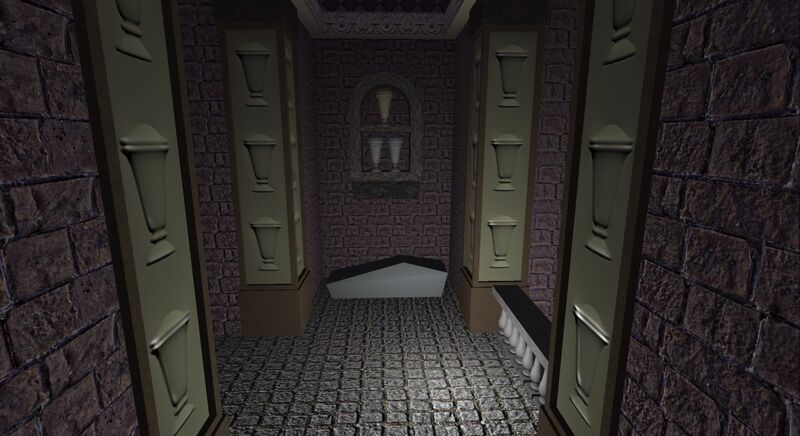 This is based on the general form of ancient Egyptian temples, but is not a recreation of any specific temple. 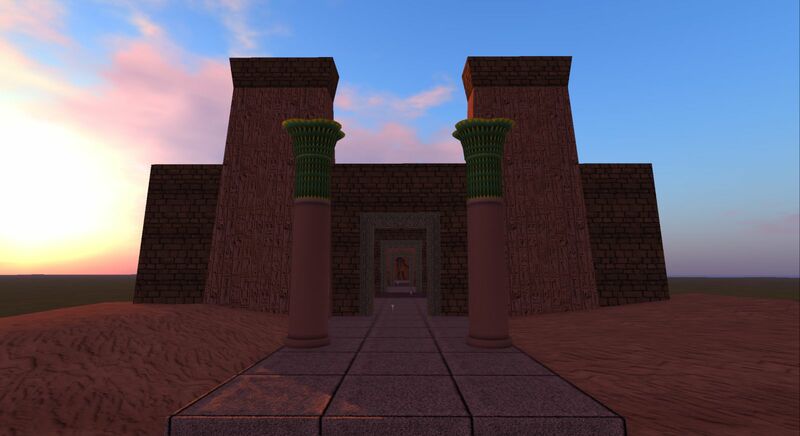 There is an entrance way flanked by massive pillars, an open first courtyard, a more enclosed second courtyard, and the inner sanctum where the king would make sacrifices to the god. 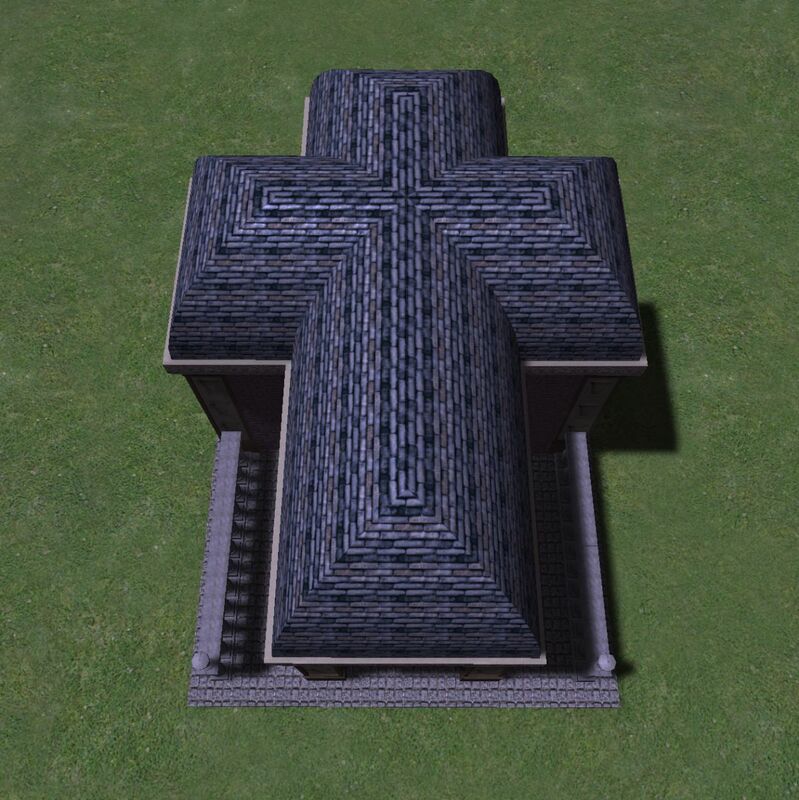 It is built to one quarter scale. To give a sense of the real size, there are scaled figures inside, and the pictures are taken from their point of view. 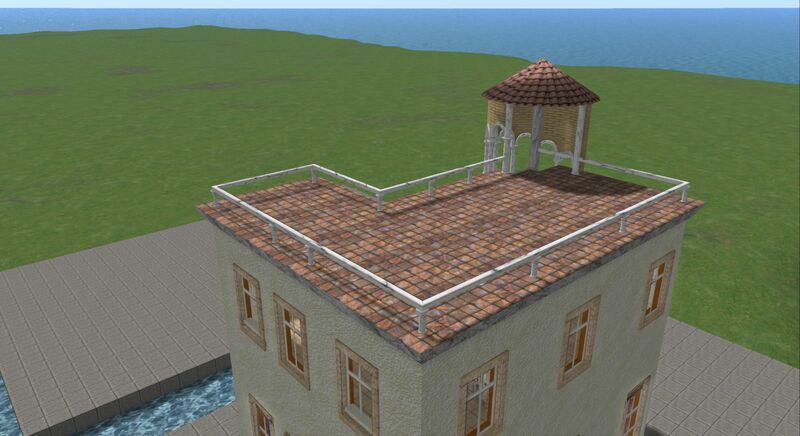 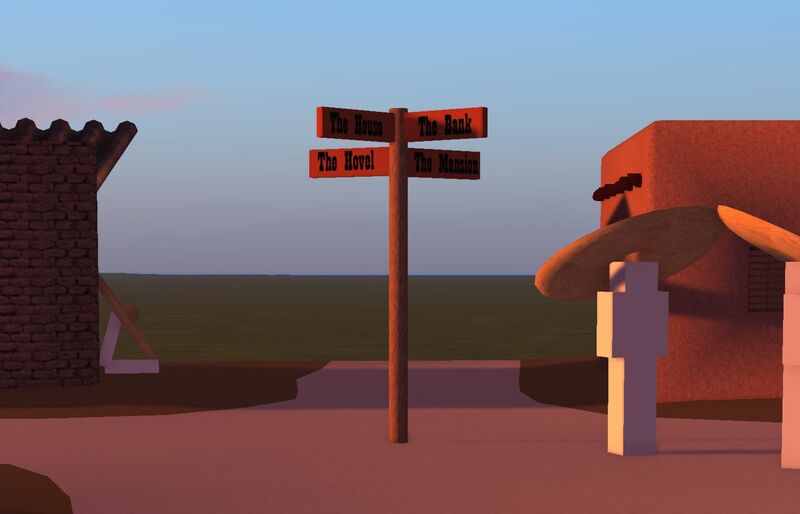 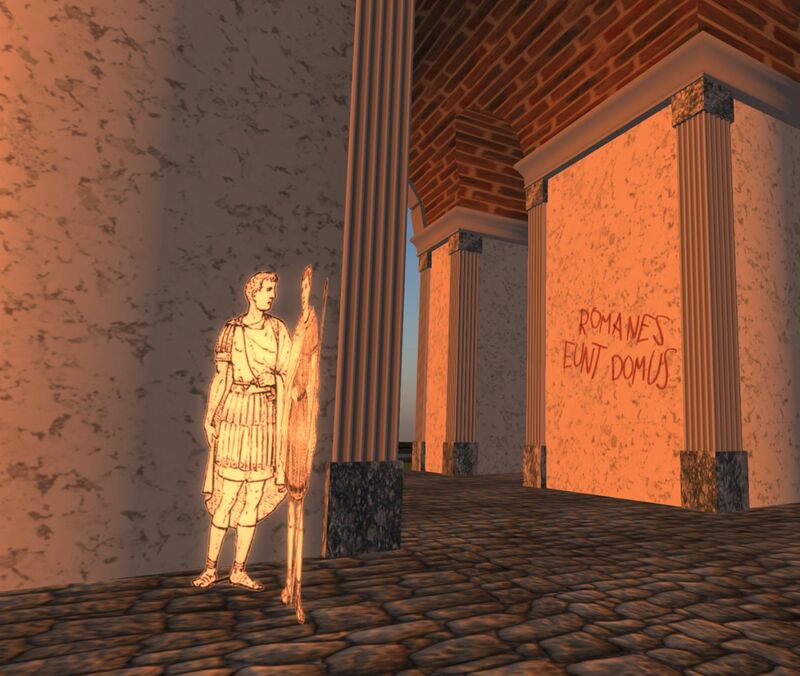 On the SL Marketplace, there are more than 5000 hits on the word “gazebo”. 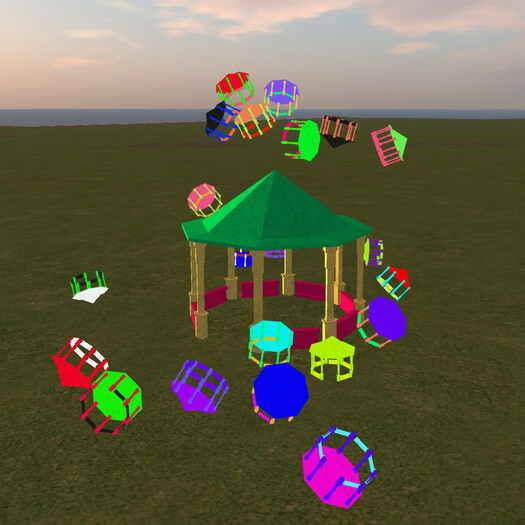 It sprays baby gazebos in the air when clicked.